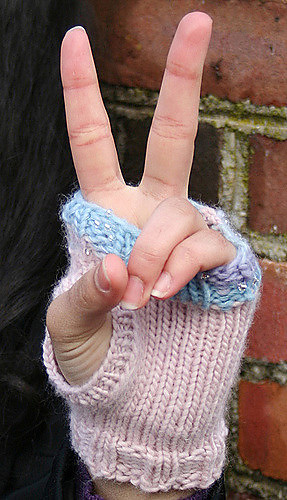 Make this amazingly soft sparkly hat and fingerless glove set in no time! Easy circular knitting makes them a great beginner project, and the beaded wool in co-ordinating colors provides all the embellishments of a beaded knit without the tricky technique. Generic yarn information is also included to make the hat and gloves with your favorite worsted wool of any brand.